Polypropylene block copolymer (PPco) is easier to process in extrusion-based additive manufacturing compared to isotactic PP homopolymer because it shrinks and warps less during printing. 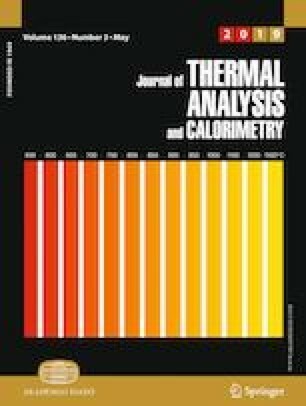 This study investigated the thermal properties of PPco and spray-dried CNF (SDCNF)-PPco composite pellet formulations. Thermogravimetric analysis data showed that the addition of SDCNF lowered the thermal degradation onset temperature and increased the residual mass content (at 450 °C) of PPco pellets. The peak degradation temperatures of SDCNF and PPco remained the same. The peak crystallization temperature and relative crystallinity of PPco were increased by the addition of SDCNF and MAPP. The peak melting temperature of PPco was not significantly changed. Printed specimens showed three melting peaks (β, β′ and α crystals) while injection molded PPco only showed one (α crystal) melting peak. Dynamic mechanical analysis results showed that the heat deflection temperatures of printed SDCNF-PPco composites were higher than injection molded PPco. SEM micrographs showed that the addition of SDCNF increased the number of voids inside the printed parts. Funding was provided in part by the National Science Foundation REU Project No. 1461116, the Maine Agricultural and Forest Experiment Station (MAFES) project ME0-M-8-00527-13 and the USDA ARS Forest Products Research Agreement 58-0202-4-003. The authors thank J. Elliott Sanders at the University of Maine for preparing the pellets and composites for analysis.